How important table manners and etiquettes are for us to learn has always been a major part of the teaching by our parents and school faculty. While it’s okay to eat in any fashion at our homes, when we go out to face the world, we must know the common and the so-called standardized eating habits. However, a look at these wackiest food traditions and culinary customs across the globe can stir not only your beliefs about the “ideal” food mannerisms but also your knowledge of what and how, when it comes to food. 1. Thailand Says – No Forks Allowed! Seems as if long gone are the days when it was specifically taught in schools how to use spoon and fork to consume meal because now, putting food in mouth with a fork is considered rude! In Thailand, one can use fork only to put the food on the spoon. If anyone is seen using a fork to consume food, then such a gesture is labeled as rude. This can be the most unacceptable culinary custom for mothers in India! As toddlers, we are taught to finish the food completely that is served on the plates because otherwise, not only the food is wasted but quite often, it is also assumed that the food was not good enough. However, in China, it is the other way round. If the food is finished on the plate, it is symbolic of the inadequacy of the food served to the guest. If the food served was enough, then the guest must not finish it all and leave a part of it on the plate itself. In Chicago, only mustard is put on the hot dogs. No other ingredient or flavor for that matter does this tradition allow! While this might seem to be very conservative, this tradition has been deeply rooted across the country and is too firm to be challenged. In the Korean culture, one must never pour one’s own drink oneself in the glass. It is mandatory for everyone to wait for or request someone to pour a drink for them. No questions and no self efforts for even a drink! 5. Canada Says – We Don’t Need Air Freshener! While this can be really ironical to read, in the Inuit culture, the act of farting is appreciated after completing the meal. It is believed that it symbolic of the tasty food consumed. In other words, it is a way of appreciating the meal! So, want to give a token of appreciation for the amazing meal? Just a fart will do! What do we usually do when the food served to us in a restaurant has less salt or spices? We add some ourselves, don’t we? Well, in Portugal, they don’t! If any guest asks for salt or pepper in a restaurant, it is taken as a huge offensive on the part of the chefs of the restaurant and is assumed to question the cooking abilities of the cooks! In Italy, it is considered to be a sin to mix sea food with Parmesan. Provided that one is in Italy, eating sea food with cheese can give a person an opportunity to swim in the sea and talk to the fish! South Korea has its own ways of facilitating and retaining the importance of the elder one! In South Korea, the eldest member on the dining table consumes the food first, followed by the rest in the same pattern. If there are twins born with a difference of a few seconds, even then, the one who’s older by a few seconds gets the bread first! In Mexico, an eating tradition has been followed to distinguish between a man and a boy. 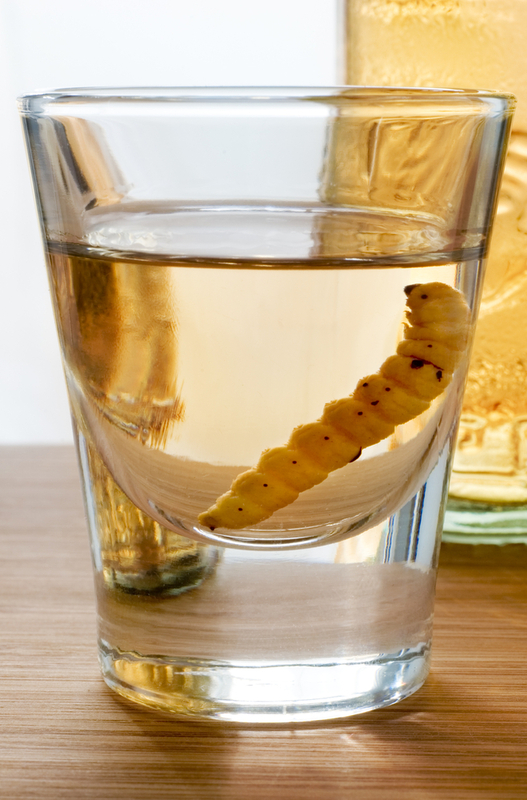 Unlike in many countries where a man is suppose to be strong, sensible and courageous, in Mexico, if one has to show how manly one is, he must eat the worm found at the bottom of a tequila bottle! In Austria, one must make an eye contact with every person he/she taps glasses with or else, it is considered to be rude and in some cultures, it is also assumed to be a sign of bad luck. So, if life’s not going good, you need to learn to make an eye contact at the dining table! So, these wacky food traditions would have, most probably, given you all a thought of revising the food etiquettes which your learning sources might have taught you! This world has so much to offer- just like the strange variations it offers in food traditions. Well, now its time that we appreciate our own food traditions until a segment of these gets adapted in India! "Life's short, make every breath count"- strong believer of every word included! Vivacious and prospective writer.